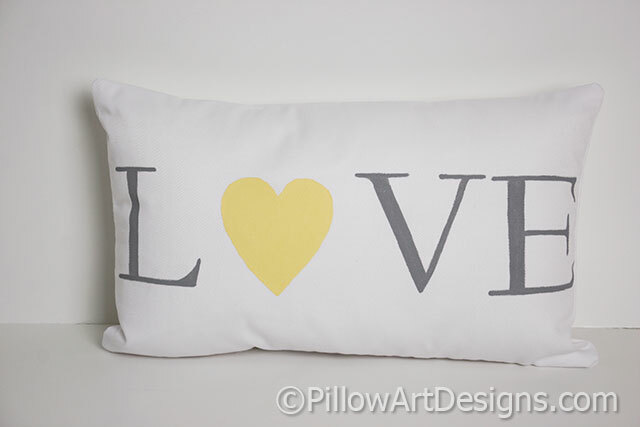 Mini Love pillow in grey and yellow on white cotton twill. Perfect gift for baby, gender neutral. Small size makes a nice addition to gift basket. 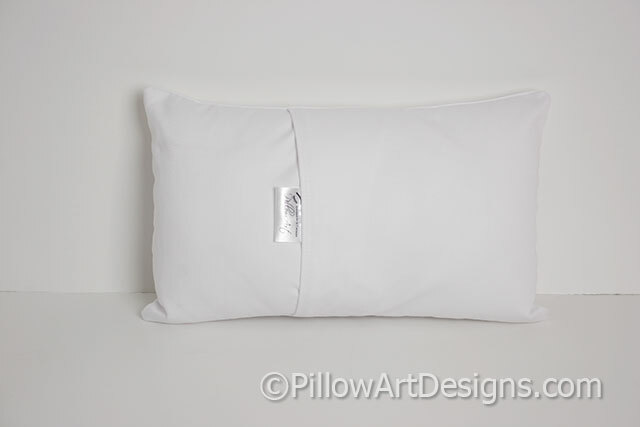 Pillow measures 12 X 8 inches and comes stuffed with hi loft polyester fiberfill (no need for an insert). 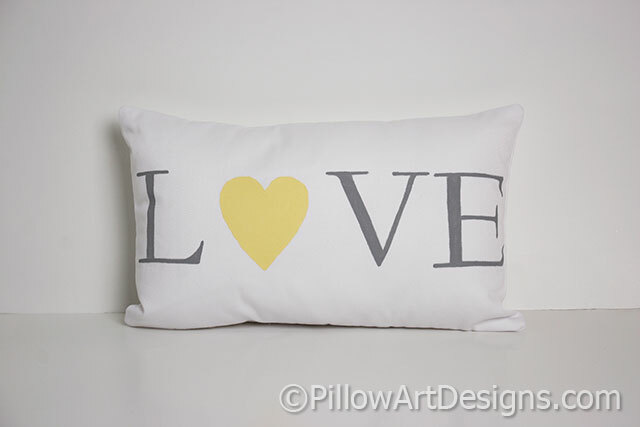 Letters painted in grey and yellow non toxic fabric paint, will not wash off, flake or rub off.